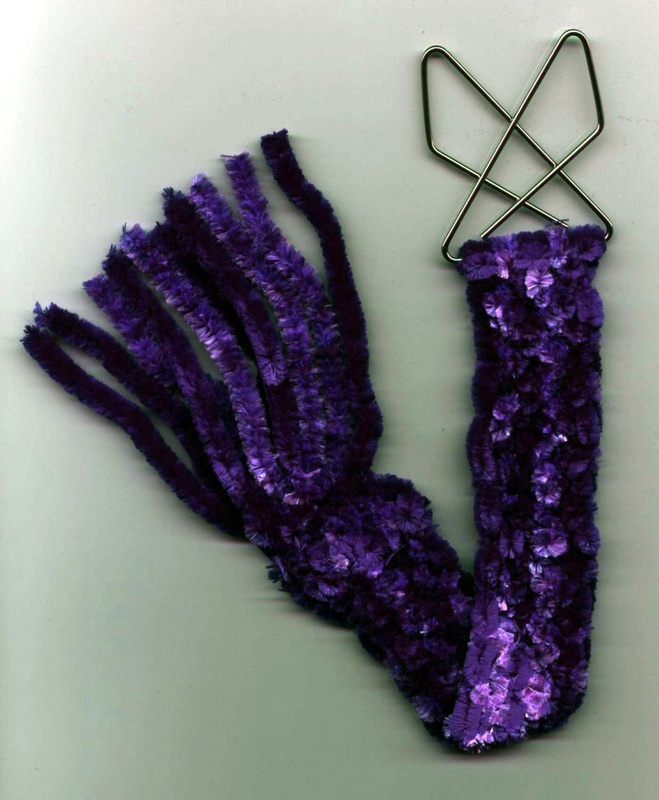 Knotted bookmark; fluffy wool and butterfly clip. Made by Kathryn Andersen This ended up being longer than I'd originally intended. Well, it will be useful for tall books.